Government has banned the importation of second-hand clothes and shoes with effect from September 1 this year, as part of economy-wide measures to facilitate recovery of local industry. The products have been removed from the general import licence, with future importations now subject to seizure and destruction. Presenting the 2015 Mid-Term Fiscal Policy Review Statement, that came two years to the 2013 harmonised elections that ushered in the incumbent Government, Finance Minister Patrick Chinamasa said the move was meant to reduce competition between imports and local products, a factor that has adversely affected local industry. Zimbabwe’s textile and leather industry has since dollarisation been under siege from the influx of imports, especially finished second-clothes, shoes and leather products that forced some of them to close down. The new measures also form part of extensive measures Government is taking to grow the economy, with economic growth rate revised down from 3.2 percent to 1.5 percent due to a poor agricultural season. The slower growth is also expected to impact Government revenues, which have since been revised downwards to $3.6 billion from $3.99 billion after first half collections missed the target by 6 percent. 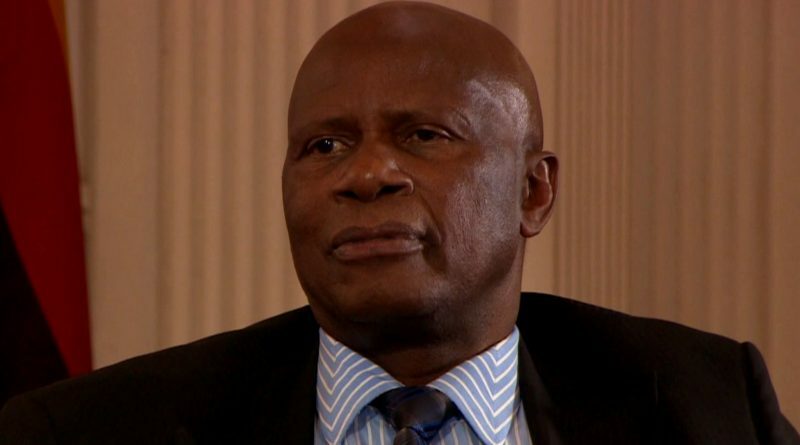 Minister Chinamasa said apart from the negative impact of second-hand imports of shoes and clothes on industrial recovery, these products posed a health hazard, as they were not subjected to fumigation. 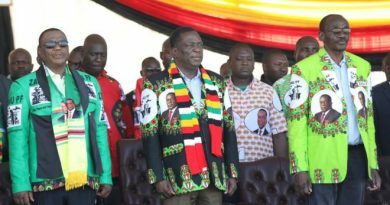 He said despite the customs duty rates of $5 per kg on clothing and 40 percent plus $1 per pair of shoes to reduce competition for local industry, the products had continued to flood the market. 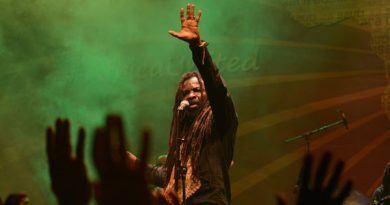 “I, therefore, propose to remove second-hand clothing and shoes from the Open General Import Licence. “Furthermore, any future importation of second-hand clothing and shoes will be liable to forfeiture and destruction,” said Minister Chinamasa during his mid-term policy review presentation in Parliament yesterday. The sale of second-hand shoes and clothes had become so rampant along virtually all streets of the country’s major cities, towns and business centres, as most of the products were evading paying duty. The used products were sold everywhere including in front of formal retail shops, which negatively impacted on established businesses that pay rentals and taxes to the Government. Prior to the proliferation of second-hand shoes and clothes, this form of trade was confined to officially designated places such as Mupedzanhamo in Mbare, Harare. The minister also removed from the travellers rebate such grocery items as maize-meal, meat, sugar and flour. “Customs duty is levied on selected groceries that include flour, mealie-meal, bath and laundry soap, washing powder, toothpaste and petroleum jelly, among others. “Cross-border travellers continue to import groceries duty free under rebate. However, there is no justification for continued rampant importation, since locally manufactured products are readily available,” he said. He also proposed to increase surtax from 25 percent to 35 percent on second-hand light passenger motor vehicles aged more than five years from the date of manufacture at the time of importation, with effect from September 1 to curb their importation. This was because such motor vehicles continued to account for a significant import bill despite measures to mitigate their importation. The increase in surtax is expected to reduce the current account deficit. 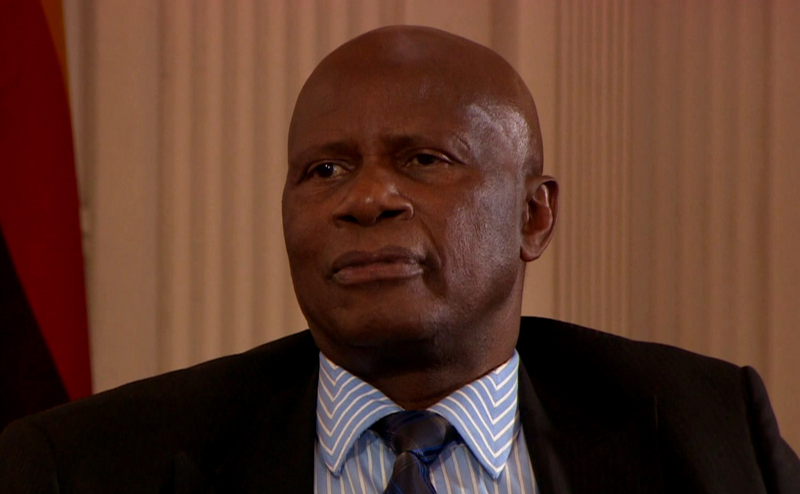 In other major highlights of his mid-term policy review Minister Chinamasa said agriculture output was projected to decline by about 8,2 percent in 2015. “The poor rainfall pattern not only resulted in some of the area under cropping having to be written off, but also adversely affected the quality of some crops. “Deceleration in overall economic growth signifies the contribution of agriculture, and the need for drought proofing the economy given the adverse effects of climate change,” said Minister Chinamasa. The impact of the drought, among other factors, reduced yields for both cereals and cash crops, such as tobacco, cotton and soyabeans. Outstanding payments to farmers for deliveries of grain to the Grain Marketing Board now stood at $29,2 million down from $48,5 million in January. Therefore, Treasury would prioritise payments to farmers for outstanding and new deliveries as a way of enhancing confidence in delivering to the GMB to capacitate farmers for the next season. In light of challenges faced by agriculture and the impact on economic growth, Minister Chinamasa said Government would reduce power tariffs for strategic minerals and sectors such as irrigation, tourism and manufacturing to drive growth and compensate for the loss in agriculture, which impacted growth prospects. Minister Chinamasa said the cereal deficit this year necessitated imports of 700 000 tonnes of grain to ensure food security. Already, the importation programme has begun with about 16 670 tonnes having been imported by Government. Permits for the importation of 819 704 tonnes of maize by grain merchants have already been issued. Government to reduce wage bill from 80 percent to 40 percent of total budget. Duty on second-hand vehicles increased. Agriculture output projected to decline by 8,2 percent in 2015. $5 million seed money for Women’s Bank. World Bank to fund audits of Public Enterprises. Blankets to be removed from the Open General Import Licence for two years.